Solid Cast Manufacturing - Offers superior physical properties. UltraGuard Heavy Duty Five Channel ADA Cable Protector offers 5 channels that are 1.375 inches in channel width. 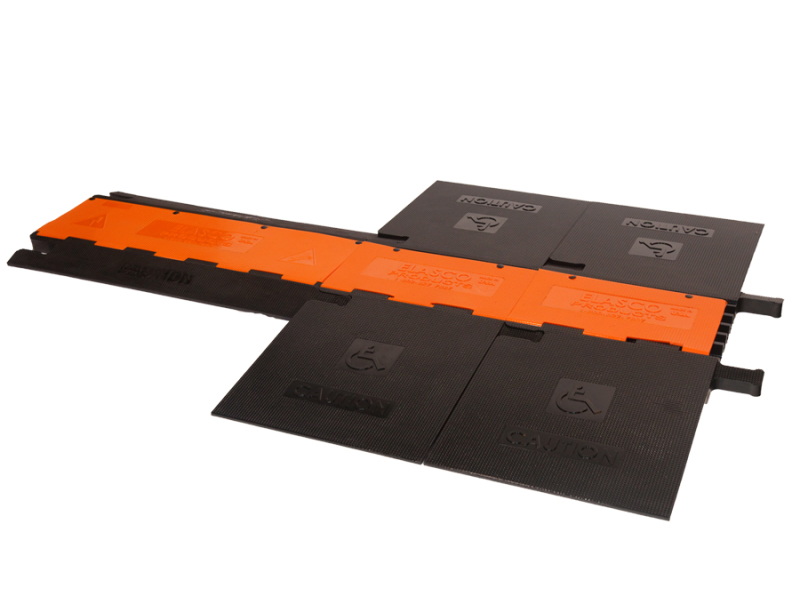 This product will also connect with the non-ADA UG5140 Product. Our Ultraguard collection offers an extra low profile and push buttons attached to lid to ensure extra lid closure and cable security. The UltraGuard collection is versatile across all industries. 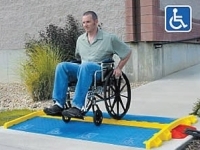 Ranging from light to heavy duty projects, it offers a low profile cable ramp designed for easy vehicle and pedestrian traffic. 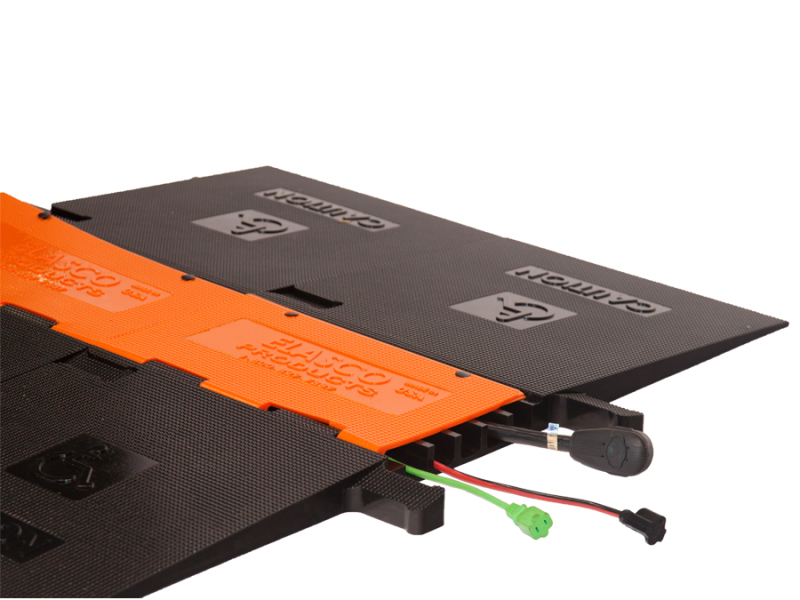 Offering 5 channel and the first ever 7 channel protector on the market, this collection features an exclusive lid design that enhances the safety of your product. The lid’s push button fasteners ensure the lid is properly closed and secure at all times. 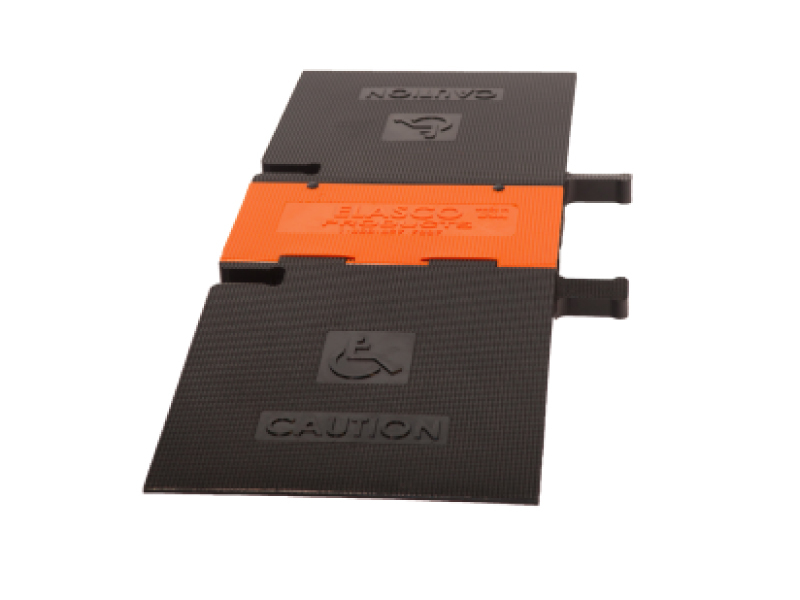 This collection now offers ADA Compliant cable protectors. 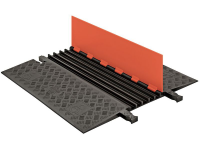 Ultra Guard Cable protectors are constructed with a solid cast polyurethane base and lid that are connected by a reinforced fiberglass rod that won’t rust or corrode. 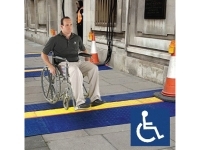 Our products hold up against natural and man-made elements and are compliant with safety requirements. With easy transportation and simple installation, our products can be configured to meet your needs. Backed by a lifetime warranty and offering premium material characteristics, our products are all Made in USA. We provide a basic solution to a basic problem. Whether it be pedestrian or vehicle traffic we help maneuver from one side of cables to the other side while keeping your cables absolutely safe. No matter the weight of your cargo, we will help you get to your destination in a safe and efficient manner.